Candlelight Catering has been recognized by the Central Florida Media Committee and has been granted access to work and provide food services inside the designated media areas. Media, court administrators will require photo identification to enter the designated media work areas. Candlelight Catering has satisfied the requirements for food service vendors listed in the memorandum of understanding between the Central Florida Media committee and the Seminole County Sheriff. No other food trucks of catering has been authorized. Candlelight Catering will have a food trailer and beverage service in the media over flow lot near the food bridge. 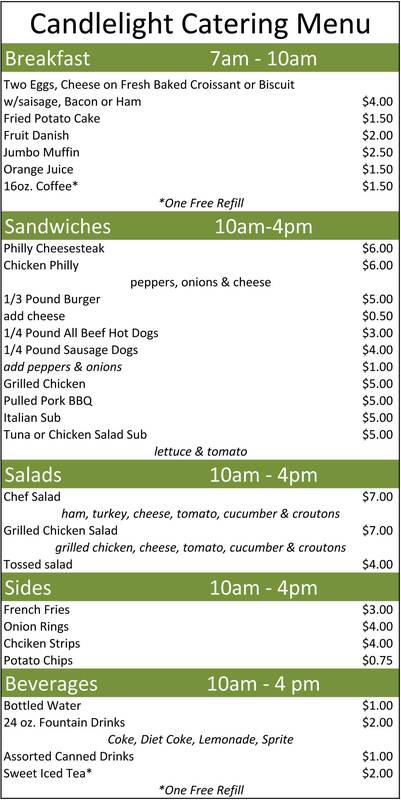 Candlelight Catering has delivery and parking privileges and is available for special order catering on-site.